You’re probably wondering what is Zawro’s Service Guarantee? Zawro’s Service Guarantee is the essence of Zawro. Zawro’s Service Guarantee is our guarantee to you and your company, that everything we do, we believe in getting your work completed successfully, and within budget. You only pay when your work is completed successfully. You even get FREE support to make sure everything runs smoothly. 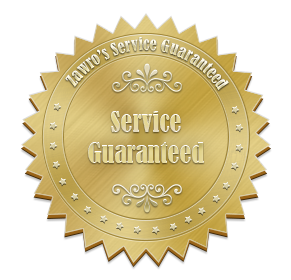 We back up our quality of service with Zawro’s service guarantee. We believe that you should let us worry about the software side. Let us do what we’re very good at, so you and your company can do what you’re very good at, your real work. If you’ve dealt with other Software Integrators in the past, you’ll know that some of them are sharks. They’ll do anything to get your work, then once you’re locked in, they eat you up by charging you more than what you bargained for. If you haven’t dealt with any Software Integrators before, then you’re the lucky ones. Make sure your next work, the Software Integration company backs up their work with a service guarantee. If not, be wary of their promises and low too good to believe prices. It’s not all as it seems. Zawro will give you our service guarantee. We’ll get your work completed successfully, and within budget, with free support to make sure everything runs smoothly. You only pay when the work is completed successfully and within budget. Hire Zawro to do your software integration work for you. Let us worry about the software side, so you can focus on your real work.